Rite of Spring. 22″ x 30″. acrylic on paper. Although it has been an unbelievably mild winter in Vancouver, with new growth promising an early spring, I am still missing my annual visit to the heat of Mexico. Usually at this time I am either soaking in the roaring surf of Sayulita or painting in the sun drenched courtyards of historic San Miguel De Allende. Instead, I am rusting in the overcast chill of a wet, north-west coast February. So, for awhile, I am taking a virtual holiday by re-visiting some of my past Mexico posts, with a little tweaking and editing. I hope to share the southern sun with those of you who are deprived of such in this turn of seasons. 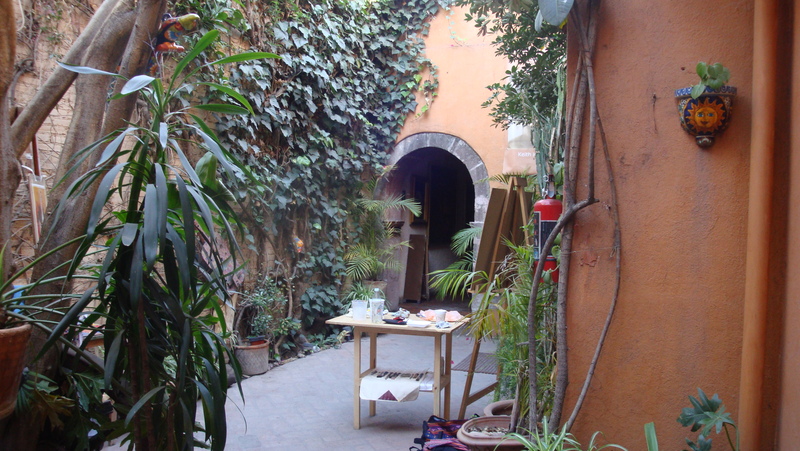 Rite of Spring was created in San Miguel De Allende in this warm, sun dappled patio filled with sculptures, paintings, cats, street sounds, the coming and going of art students, nut sellers and the soulful music and song of central Mexico. 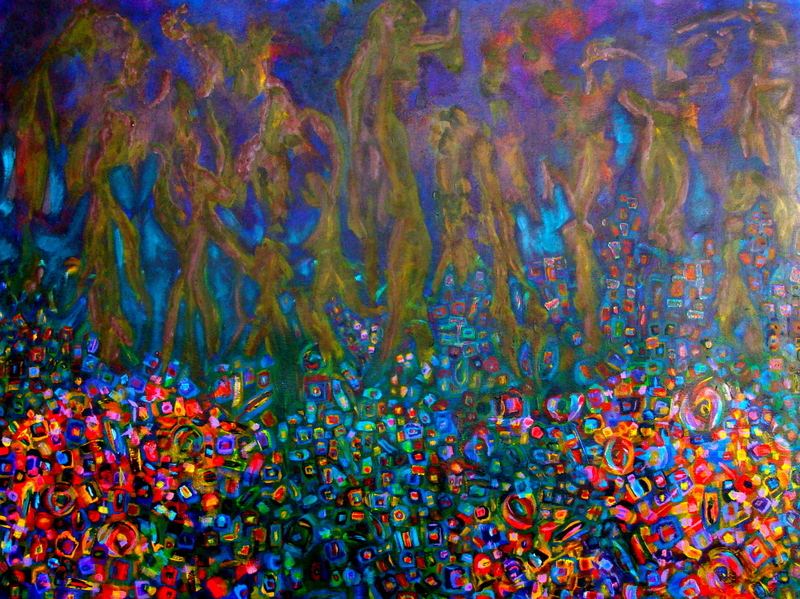 I was inspired by images of the heat and colours of the Aztec sun god merged with the tree spirits of the dark northern forests of Canada dancing to the drums and singing of ancient Haida voices.